Let me sweep the dust away from the WordPress admin. Do some moderation on a few comments, update some plugins, upgrade WordPress to its latest release and there we are. Everything is back in order. Where has July gone? Seriously, my last post was July 8th and I do not even know what I have been doing since now and then. My little calendar to the right looks so sad with only one date in blue, but that is about to change. A few weeks ago I came across this brilliant video about a photographer who was photographing people on the street. I love photos like this, and while I am still not comfortable with people photography this really encouraged me to get over that awkwardness. I have been playing a fair bit of hockey in the last few weeks. Sometimes the schedule would have us playing three games in eight days. I saw a lot of ice in the last few months and it has been great. Sadly, the season has come to a disappointing end. 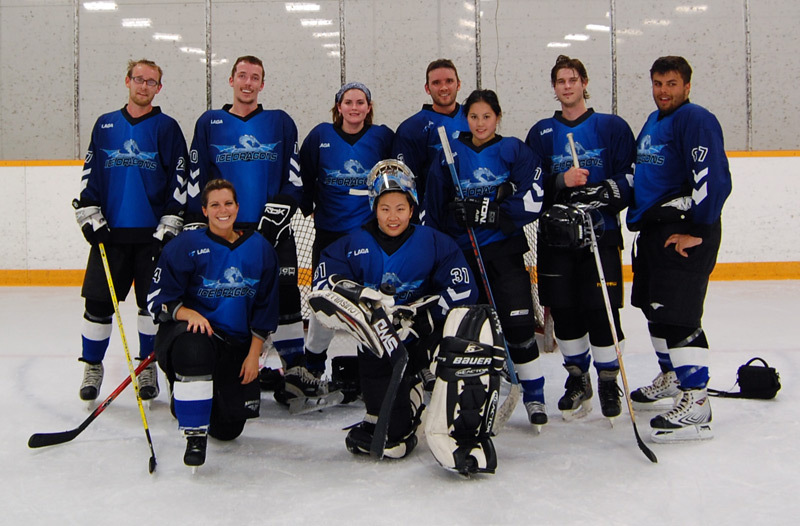 Our Ice Dragons season started in May. The conditions in which the team came together was an eleventh hour situation. We did not know if we had enough players to meet the quota for having our own team and the final days of registration were hectic enough, and I was just a spectator as Gord organized it all. Our team was born, we had custom jerseys made and we started the season off strong with two wins. Over the next month we were brought down a level with a series of losses. By late June our team played stronger and started to play as a team. We started to learn our strengths and weaknesses and went on a six game winning streak to close out the season. The team was bumped down a division halfway through the season and we made the most of it by climbing from a sub .500 record to the top of our four team division. After playing in several leagues this was my first time actually getting points on the board and it felt great to contribute to the team. I felt we were in a good position to advance in the playoffs and battle for the division championship. However, a 2-12-0 team (where one of their victories came against us) was our Kryptonite. We always had close and tight games against The Flyers and on Wednesday night our incredibly short bench and exhausted team was no match for them. We gave up three goals and finally countered with one of our own before going into the final intermission. In the late stages of the third we made it 3-2, setting up for a fierce finish. We pulled the goalie and applied incredible pressure, but came up short. Playoffs are referred to as the other season and your season history means nothing. This is something we now know all too well as the lowest rank seed knocked us off. 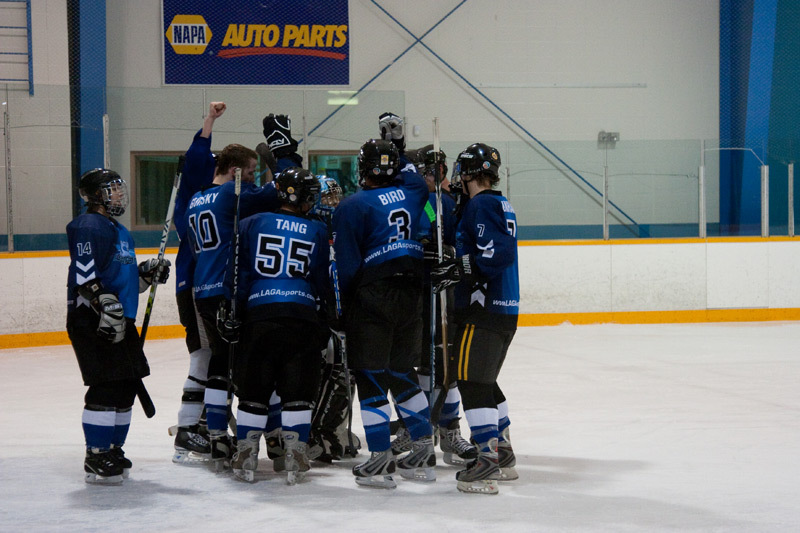 It was a great few months of hockey, it would have been better to go further in the playoffs, but that is how it goes. I had fun, played a game I love with a good bunch of people and hope to play with them in the future. Still, stupid Flyers. Stupid short bench. By late June our team played stronger and started to play as a team. No room for people who can’t work as a team on my team. Team! Team, team, team, team. I even love saying the word, Team. You probably think that’s a picture of my family. Well it’s not. It’s the A-Team.